K-Line Fencing Contractors Perth have been securing the premises of churches in Western Australia since our inception over 40 years ago. Today, K-Line Fencing Group has the expertise and commitment to providing trusted security fencing solutions specifically designed to meet the unique requirements of this sector throughout Perth and its surrounds. Church precincts, including car parks, experience high volumes of traffic and congestion during peak periods. In these environments, pedestrian safety is paramount. K-Line Fencing Contactor Perth’s has extensive experience in the installation of tubular steel fencing and steel handrailing to mark pedestrian areas and prevent delays that can be caused by congestion. K-Line Fencing Contractor Perth’s sophisticated production and project management processes have positioned them as industry leaders in security fencing solutions in the Perth churches sectors. Read about our satisfied church properties customers on the case studies page. If you need an outstanding fencing design and installation for a church or similar premises in Perth or nearby, contact us today. 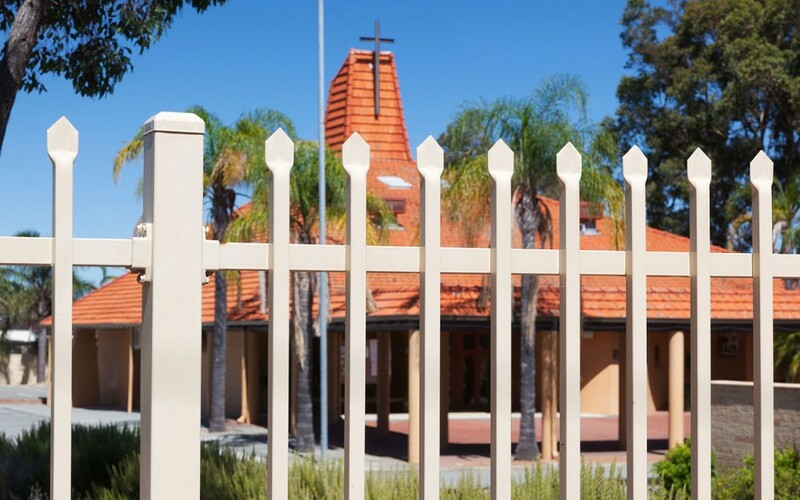 One of our friendly team will be happy to discuss how K-Line Fencing Contractors Perth can make your church a safer, more secure location by providing a reliable security fencing and handrails designed to fit your budget and time frame. Need to secure your church?